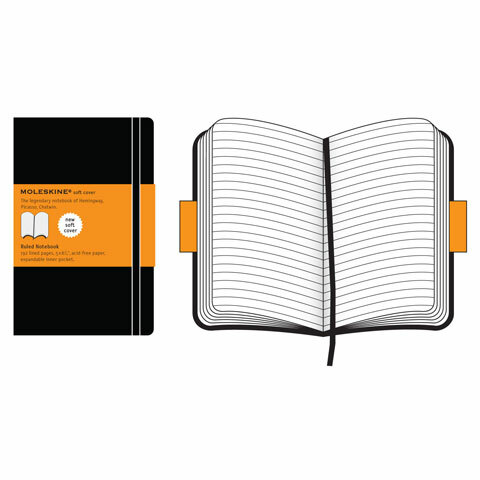 Moleskine (mol a skeen' a) journals are legendary, possessing a minimalism, style and quality that literally has centuries of experience. 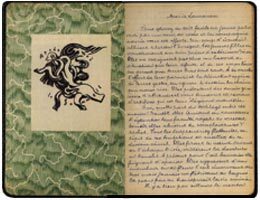 The notebook of André Breton (1916) with the ex libris drawn by Max Ernst. Moleskine is the notebook used by European artists and thinkers for the past two centuries, from Van Gogh to Picasso, from Ernest Hemingway to Bruce Chatwin. This trusty, pocket-size travel companion held sketches, notes, stories and ideas before they were turned into famous images or the pages of beloved books. 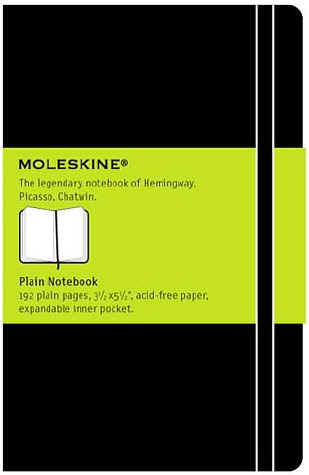 Originally produced by small French bookbinders who supplied the Parisian stationery shops frequented by the international avant-garde, by the end of the twentieth century, the Moleskine notebook was no longer available. In 1986, the last manufacturer of Moleskine, a family operation in Tours, closed its shutters forever. “Le vrai Moleskine n’est plus” were the lapidary words of the owner of the stationery shop in Rue de l’Ancienne Comédie where Chatwin stocked up on the notebooks. The English writer had ordered a hundred of them before leaving for Australia: he bought up all the Moleskine that he could find, but there were not enough. In 1998, a small Milanese publisher bought Moleskine back again. 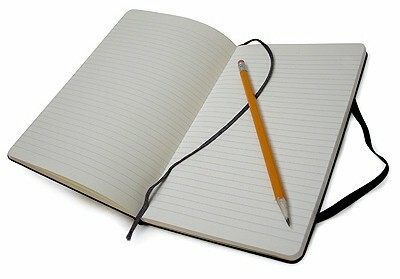 As the self-effacing keeper of an extraordinary tradition, Moleskine once again began to travel the globe. To capture reality on the move, pin down details, impress upon paper unique aspects of experience: Moleskine is a reservoir of ideas and feelings, a battery that stores discoveries and perceptions, and whose energy can be tapped over time. The fabled black notebook is once again being passed from one pocket to the next; with its various different page styles it accompanies the creative professions and the imagination of our time. The adventure of Moleskine continues, and its still-blank pages will tell the rest. Moleskine journals are simple black rectangler books with lined, squared, or blank pages, held by an elastic band, an inside pocket for loose sheets, a binding in 'moleskine' which gives it its name, this trusty pocket-size travelling companion guards notes, stories, thoughts and impressions before they are turned into the pages of beloved books. Moleskine cover. The cover is a rigid book board backing with a durable synthetic resin surface producing a textured faux-leather cover that is holds up under the extreme conditions that often accompanies normal use. Acid-free pages. Paper with acidic cellulose pulp material tends to turn brittle and yellow in just a few years. Acid-free paper helps to preserve your precious words and sketches for the ages. Thread-bound pages. The thread-bound binding allows the book to open flat, allowing one to easily write or draw from one side to the other. Thread-bound binding produces a very durable book compared with other bindings such as perfect bound or glued. Bruce Chatwin - 'Losing my passport was the least of my worries, losing a notebook was a catastrophe'.